Saxophone Courses – Flutes, Clarinets & Saxophones en Vacances Flute Courses, Clarinet Courses and Saxophone Courses for Adult and Student Flute, Clarinet and Saxophone players. Join us for a musical house party in Croatia. Stay in a super modern, luxury house with terraces overlooking the River Ombla in Mokosica. The views are superb. The venue is just 3.7 kilometres and a direct 1.7 euro bus ride to and from the old citadel of Dubrovnik. Small Supermarkets, Coffee Shops, Bars and Restaurants all within 3 minutes walking distance. Riverside strolls or hillside walks and a marina nearby. The bus stop to Dubrovnik is very close to the house and the service is frequent. Stay for 4 nights or 8 nights – the choice is yours and dip in and out of the schedule as you wish. The house consists of 4 large apartments and all of the 6 bedrooms are ensuite. There are plenty of open plan spaces in which to rehearse and several fully equipped kitchenette areas for your use too. We offer half board accommodation to enable you to relax and sightsee each afternoon. These courses are about what you want to do and what your playing needs from us. Workshop sessions for tone, finger technique, breathing and general tips and tricks. Coached small ensembles for mixed or single instrument groups. The numbers will be kept at 5 – 8 (with 2 tutors) depending on instrument combinations. We will have the keyboard with us and so there will be daily opportunities to play solos with piano accompaniment. Make these as easy and manageable or as challenging as you wish. The weather in May averages 12 hours+ of sunshine per day and temperatures of up to 22/23 degrees. Half Board Accommodation in Twin, Single or Double Rooms. Lunch out and free time in the afternoon. Evening Performance soiree at 18.30. Boat trip to a group of islands with fish picnic. Wine tasting on the Peljesac peninsula combined with a visit to Ston. Fly to Dubrovnik from the UK with Easyjet, British Airways direct or Lufthansa offers a rapid connecting flight. Please book these well in advance as Dubrovnik is a popular destination and flights fill quickly. It is also possible to book single tickets in and out of Dubrovnik/Split – see below. Door to door transits can be arranged at 40 euros for a shared minivan or take the shuttle bus (6 euros single and 10 euros return) into Dubrovnik bus station and the local bus to the house from the same place. The shuttle bus is scheduled to meet every flight and even waits for delayed arrivals. For the adventurous …. Make this into a two centre holiday and combine Split with Dubrovnik by taking the 4 hour bus journey between the two. There is also a 4 x weekly Catamaran service from early May. NB Driving directly to Dubrovnik from Italy or Croatia can be problematic as there are Bosnian territorial borders to cross. special rate for extended stay. An ensemble workshop course that moves at a faster pace and where relatively fluent reading is required. Interpretation, style, ensemble techniques and a good level of performance are the aims. Retreat to the Yorkshire dales and stay in a former gentleman’s residence within walking distance of Giggleswick and Settle. An intensive practical music course with Nicholas Foster. Workshop group tuition for SATB, Ensemble coaching and individual advice offered. Stay 4 nights with Day Visitors and non playing partners very welcome to stay and enjoy the local countryside, join the group for all meals and informal concerts. Players of all saxophone voices are welcome and the course suits teachers looking to fulfill Personal Development criteria. The emphasis is on you the individual player and it’s your progress that matters. Suits those wishing to improve within a short time and those unable to take regular lessons. Come and have a holiday combined with an intensive yet relaxed learning experience. The numbers will be small to give maximum attention. Don’t worry if this is your first experience on a course as we are completely sympathetic to your needs and feelings. Ensemble coaching, Individual help, attention to tone, technique, scales, breathing, performing, repertoire, duets, work with a resident pianist and all in a non competitive environment. *please note that these are not jazz improvisation courses. Full board: breakfast, lunch. evening meal – all home cooking. The SatNav and postcode takes you half way up the The Mains – Woodlands is last house at the end of the road. Train: arrive at Settle station and the house is a 15 minute walk. Our favourite summer retreat and the 10th year at this lovely venue in the Suffolk countryside. A beautiful old country house set in its own grounds with orchard and vegetable garden surrounded by miles of arable farmlands and ancient woods. Approximately 3 miles from historic Lavenham and 5 miles from Bury St. Edmunds. Many local walks and cycle routes. Perfect for that summer retreat. Partners welcome. There are no ensuites at this venue but bathrooms very near to the bedrooms. Accommodation ranges from private double or single, very large twin share or a downstairs room with single bed. Please link to see cost of each type. A second level “check up” course to make sure that you are heading in the right direction with Tone, Technique, Breathing, Articulation, Dynamics + Repertoire and for those needing a refresher ‘back to basics’ few days. Both Julie and Nick are quick to analyse and diagnose which makes for rapid trouble shooting, problem solving and smooth progress. Workshop style sessions, 1 : 1 help, ensemble coaching with parts written to suit your individual level and demonstration classes focusing on the basic elements of each instrument, practice structure and techniques, performance styles and how to gain confidence/nerve removal…….we cover everything! We can assist you to read notation more fluently and to develop a secure understanding of rhythms. Our aim is to help you to enjoy your playing and to achieve that much desired improvement based on secure foundations. A 3 night, highly specific course with individual attention throughout whilst in a small workshop situation or 1 : 1 help. Suitable for beginners looking for a firm grounding in technique and reading skills as well as more advanced players wanting to improve specific areas of technique and musicianship. . Individual lessons, attention to tone, technique, scales, breathing, performing, repertoire, duets, work with a resident pianist and all in a non competitive environment. Come and have a holiday combined with an intensive yet relaxed learning experience. The numbers will be small to give maximum attention. Don’t worry if this is your first experience on a course as we are completely sympathetic to your needs and feelings. Adults only. Late starters and lapsed learners are our speciality. Intermediate – Advanced Level Ensemble Course for adult saxophone players with minimum grade 5+ level. Fluent reading level is required. 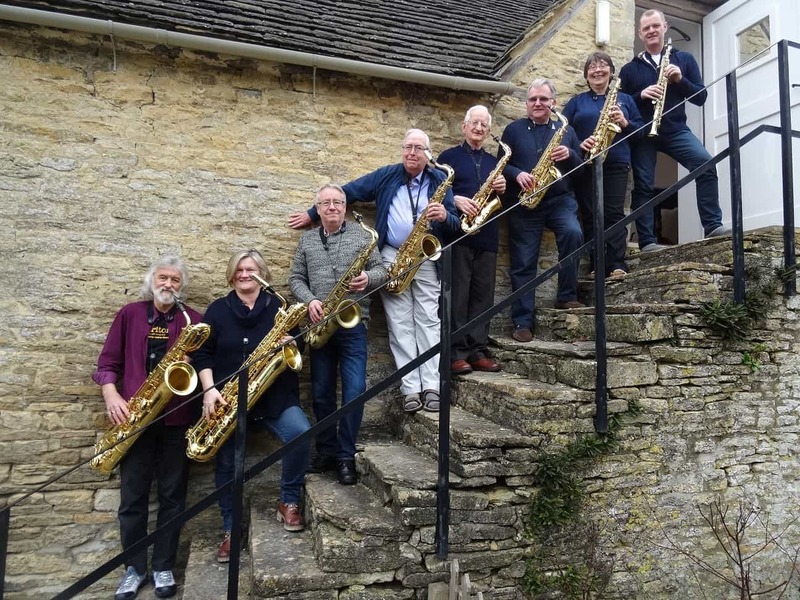 A summer retreat for adult saxophone players working with Nicholas Foster in both an ensemble and individual situation. 4 days of playing, learning, eating good food and meeting like-minded people, all set within the beautiful Suffolk house and grounds of Earls Hall. Meal times are an important part of the day with deliciously creative, home cooked fare, much from the organic garden. Work hard and then have time to relax and chat. Only 8 places available with the full range of saxophones (SATB) welcome. Individual lessons, coached ensembles with parts specially written to suit your level; tone, technique, breathing, repertoire, counting and rhythm, pianist available; all in a non competitive environment. Daily schedule: each day starts after breakfast at 09.30 until lunchtime. Free time until 16:00 then play until evening meal. Optional duets/trios after dinner if you have the stamina! Course starts: 17.00 on July 31st and Course ends at 11.00 on 4th August 2019. A 4 night, bespoke course with individual help/very small group attention throughout. Suitable for beginners looking for a firm grounding in technique and reading skills as well as more advanced players wanting to improve specific areas of technique and musicianship. .
Book a whole morning or an entire afternoon or as many sessions as you need. There is a living room/kitchenette area for tea/coffee and even do some practice. Stay overnight at a local, recommended B and B if you wish to extend the sessions across 2 days. from near beginners to grade 4. Partners welcome. A first level “check up” course to make sure that you are heading in the right direction with Tone, Technique, Breathing, Articulation, Dynamics + Repertoire and for those needing a refresher ‘back to basics’ few days. Both Julie and Nick are quick to analyse and diagnose which makes for rapid trouble shooting, problem solving and smooth progress. Workshop style sessions, 1 : 1 help, ensemble coaching with parts written to suit your individual level and demonstration classes focusing on the basic elements of each instrument, practice structure and techniques, performance styles and how to gain confidence/nerve removal…….we can help with everything! The numbers will be kept at 7 – 8 (with 2 tutors) depending on instrument combinations. We will have the keyboard with us and so there will be daily opportunities to play solos with piano accompaniment. Make these as easy and manageable or as challenging as you wish. Hastingleigh is a hamlet in rural Kent – an area of outstanding natural beauty on the rolling Downs. We will be staying in a converted sawmill and stables in well equipped chalet style dwellings with shared kitchenettes and living areas. Wifi is available in each one, although the phone signal can be very patchy. No car needed as we are offering meet and greet at Wye station. There are many local walks and public footpaths for that essential relax and breath of fresh air.The local pub is a pleasant 1 mile stroll away. Nearest shop 4 miles. Travel by car and park on site, or take the train via Ashford to Wye, from where we can collect you at 5.30. If you arrive early at the station, please amuse yourself in the adjacent pub. It’s a House Party – All levels of Flutes and Saxophones en Vacances with Partners most welcome. Location : The village of Moeciu de Sus lies at the foot of the Carpathian Mountains, in the Brasov County (Brasov 35 km), just where the Bucegi National Park begins. Fresh air and stunning mountain scenery with Dracula’s Bran Castle just 12 km away. Visit Bran, Brasov, Sighisoara, Sinaia or Predeal whilst enjoying the quietness of a mountain village. The large wooden chalet offers comfort, natural authenticity and calm. It is scenically located in the middle of the village with a small fresh food and provisions shop and several cafes/eateries nearby. 6 further ensuite rooms are available in a traditional house just a few metres walk away from the main house. Airport : Fly to Bucharest or Cluj with BA, Ryanair, Wizzair, BlueAir or Tarom direct or Lufthansa/Austrian with one stop. Book well in advance for the best prices. Hire a car – Car hire is readily available at the airport – we would suggest one of the well known names such as Sixt or Budget. There are a few ridiculously cheap options (eg. Klass wagon ) at 5 GBP per day but they make their money on each tiny scratch or that minuscule windscreen chip. Car hire is very inexpensive at £68-£130 for 6/7 days including unlimited mileage, with several rental companies including a free additional driver – the route offers a stunningly beautiful drive of 3 hours and 25 minutes passing through country towns where you can stop and take a rest or even shop for local wines, beers and treats. We suggest, from experience, that you do this drive in daylight. The route is not difficult to follow and very scenic. We suggest a coffee stop in Pârâul Rece, at the top of the Prahova Valley. This is the highest town in Romania. Sinaia has a beautiful palace and Busteni/Campina have shops and bars. Shared transits – We can arrange meet and greet taxi at shared cost from the Airport to the Chalet. This will be fixed at a set time (to suit the majority) from the Airporot or please hire a car and share the cost between several people. Another possibility is the train from Bucharest to Busteni and then taxi to the village. Currency is the Lei (approx 5 to GBP) but euros are sometimes requested in tourist situations. There is an ATM as you exit arrivals at the airport – opposite the florist’s shop. Also several in Bran and Brasov. Surprisingly, the tiny, local convenience store in Moeciu de Sus has a card reader if you need to use a card as payment. Local guided tours and mountain trails can be arranged at a reasonable rate – please ask and we will organise this for you. 15 euros per person for a half day guided cultural experience and forest trek with our English speaking host. Look at farming methods and how the locals live and discover the history of the area. Unique visit ( free ) to a local photographer’s studio hut and camera museum! This is originality at its best. Highly recommended 4 star local restaurant for lunch and drinks with outside garden. Vlahia Inn, Bar and Restaurant – Discover the tastes of Transylvania – we personally recommend it for Romanian menu, quality, ambience and price. Open daily and a buffet lunch is often available. The local store sells bread and bits of cheese/salami/biscuits/wine/beer/water etc. if you need a picnic lunch. She opens daily, but closes each afternoon for a few hours. Coffee – next to both houses – one table, one umbrella and just two chairs, but great coffee! 6 Additional ensuite rooms (some with traditional wooden balconies) are also available in a rustic chalet, within easy 300 metres walking distance. Small kitchen and fridge also in this house. Small/MediumTowels and Bed Linen are provided, but you may wish to pack a larger towel. Half Board catering – Breakfast and Evening Meal with local produce on the menu. Lunch is not included so take it out in a local town or create a picnic from what the village store has to offer. Transits will be arranged accordingly. Free afternoon : Take lunch out and go sightseeing/walking in the area. Optional playing again from 17.30 – 18.30. We can be very flexible and change the hours around. Dracula’s Castle at Bran – spot Vlad …. Dracula exists in the imagination – Bran castle is a reality, with strong British Historical background, too. We found the visit fascinating and informative. Audi Guide 10 Lei (recommended) – all pre bookable online. Park outside the castle for 4 Lei per hour. Please note that there are a lot of steps! Bucharest : Stay for an early or additional day. We can suggest some central hotels which are highly recommended and at a good price. transits from airport to Bucharest city centre (17km) 10 euros pre bookable taxi or by machine at airport. Please ask your accommodation to fix. This is the norm. 7 lei return on local bus stopping at universitait – 350 metres away from accommodation below. Hotel Capitol – fantastic 4 star Hoel in zone 1 central location metres from old city and an easy taxi ride from the airport. Orchid Appartments near to Hotel Capitol Deluxe two bedroom apartment with kitchen and bathroom. 4.9/5 star rating. Two more apartments also available nearby. Please ask. Try the Big Red Bus City Trip at 25 Lei (£5) for a 24 hour ticket and see Bucharest’s main sights. For city taxis, download the app “Clever Taxi” and pay in Lei cash. Guaranteed meter rate and very cheap. The same Taxis flagged down on the street will not use the meter and create a tourist price. Uber also works in Bucharest. Course 2 has no extra night possibility. Thank you for laying on such an enjoyable experience. The results of the course have been extraordinary….My playing has gone up a notch or two. A ‘blend’ of all the best things that we offer – suits those who would like to experience a ‘mix’ of everything. Small Ensembles, Solos with piano, Mixed Ensembles, 1 : 1 help and Duets/Trios with a Tutor. Tips, Tricks and Techniques to improve all aspects of playing. Dare we say it ….. Music ‘on Tap’ and a ‘barrel’ load of useful technical stuff with a library of ‘vintage’ ensemble pieces and our signature gastro-pub menus. Our first ever “lock in” course. Join us in this converted pub/restaurant for a few days of music making. 9 double bedrooms ensuite – all with TV. Retreat to The Cotswolds …..
Don’t worry if this is your first course experience as we are completely sympathetic and understanding of your needs. A comprehensive group workshop approach covering all aspects of saxophone playing. A typical daily schedule is to work all morning from 9.30 to 12.30, enjoy a leisurely lunch with a short break to relax or practise and then another session from 4.30 until dinner after which you are free to play informal ensembles, if you wish. The main accommodation is in Greyhound Barn – Luxury and spacious accommodation :- a beautiful Cotswold, Grade ll listed former hop brewery with all bedrooms ensuite. 2 minutes walk from the local village pub. Single, Twin and Double rooms : all en suite. Unlimited heating and hot water. Ample practice space and rehearsal areas. Barnsley village. 4.5 miles from the Roman town of Cirencester and very close to the beautifully picturesque Cotswold village of Bibury. Easy access by car from M4, M5 and A40 (Oxford) for those familiar with the Witney route. Luxury accommodation, world-class teaching, delicious home cooking. All inclusive: all teaching, full board, glass of wine with meals; nothing more to pay. WiFi – free – but can be patchy as we are in the countryside. Mobile phone signals can also be sporadic. The Cotswolds are a range of hills in west-central England, sometimes called the ‘Heart of England’. The name Cotswold means ‘sheep enclosure in rolling hillsides”. The Cotswolds are characterised by attractive small towns and villages, built of the underlying Cotswold stone (a yellow oolitic limestone). In the Middle Ages the wool trade made the Cotswolds prosperous and some of this money was put into the building of churches, leaving the area with a number of large handsome Cotswold stone ‘wool churches’. The area remains affluent, which has encouraged the establishment of many high quality pubs, restaurants and antique shops. Cotswold towns include Bourton-on-the-Water, Broadway, Burford, Chipping Norton, Cirencester, Moreton-in-Marsh, Northleach, Stow-on-the-Wold, Stroud and Winchcombe. Saxophone Bespoke course with Nick. This course is tailored completely to suit your specific needs. 2 places only. Suitable for those who are fluent readers and who wish to improve their playing through ensembles and group classes. A fairly fluent reading ability is required. Please ask if unsure – we don’t expect you to be perfect in any way! A 24 hour ‘quick fix’ to help in every aspect of your playing. Barnsley Village, Cotswolds. February 2020.